The National Political Council of the People’s Alternative Revolutionary Force (FARC) calls the country’s attention to the gravity of what is happening with ex-guerrillas across all national territory and regarding the incidents which occurred on Sunday 4 November in the Medellin neighbourhood of Belen de Nubia, in which our comrade Fancy Urrego (Erika Montero) was attacked as she left her home. Four attackers on two unlicensed motorbikes without saying a word opened fire at the leader, producing an exchange of gunfire with her security protection team, fortunately without any regrettable consequences. Fancy Maria Orrego is a member of the National Political Council, a leader who is committed to the construction of peace with social justice and the implementation of the agreement signed on 24 November in Bogota’s Theatre Colón, while she also participated actively in the construction of the Peace Agreement, placing emphasis on the Gender Focus which includes women as fundamental actors in the construction of a peaceful society. Close to 80 former guerrillas and family members of former guerrillas have been murdered since the peace agreement was signed, without the authorities showing any sign of interest so far to attempt to establish the motives and the people responsible. A few days ago, we received information that police intelligence had detected plans to attack the leaders of the FARC party. Everything indicates that what happened last Saturday in the city of Medellin is the beginning of this criminal plan. 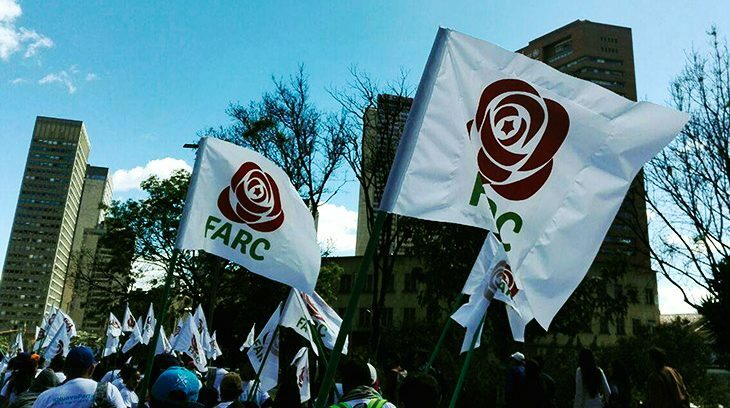 As such, we demand that the Colombian Government and State act swiftly to establish these incidents and all those which have cost the lives of members and relatives of the FARC party, as well as all guarantees to exercise our political activity as was agreed in the Peace Agreement. We request an emergency meeting with President Duque to express personally our concerns and listen to his opinion regarding this grave situation. It is necessary to jointly evaluate all of the aforementioned issues around guarantees and security measures for our party and its members. We ask the UN Second Mission, the guarantor countries, all the international community, as well as the Offices of the Attorney General and the Ombudsman to take account of these incidents that we are denouncing. We call on all political parties, different social sectors, the media and active forces in the country to express their rejection of these types of aggressions. This is the moment for us to unite, without political distinctions, around the defence of life, peace and democracy in a broad national pact to remove weapons and violence from politics. Colombia cannot allow a repeat of the genocide of the Patriotic Union to be committed against those of us who signed for peace and to conduct legal political exercise.